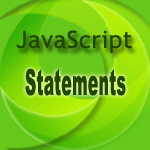 Executes a group of statements if a logical condition is true. Use the optional else clause to execute another group of statements. In the following example if else statement check whether an input marks is greater than 50 or not. For multiple conditions, we can use else if. Here the if else if.. statement checks the grade of Math. on some conditions.